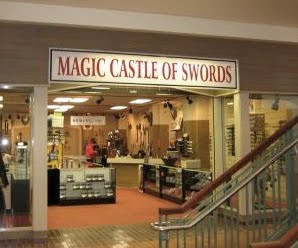 When visiting the Gateway Mall in beautiful Springfield, OR, please be sure and stop by the Magic Castle of Swords. A veritable breeding ground for Frodo and Harry Potter wannabes. I know where I'm heading when the Dawn of the Dead happens.